As a beauty blogger it's pretty much accepted that I should love nothing more than spending my evenings soaking in the bath. Whilst I do enjoy the process of running a bath, setting up the iPad for some YouTube viewing, picking what products to use I get bored once the scrubbing and shaving is done. And there is nothing I detest more than the clean up of the bath after the aforementioned events have taken place. A shower is my real enjoyment and I could stand in the shower letting the water run over me for hours. I'm serious danger now of spending far to long in the shower due to the Mira 360m Spray Showerhead I received recently. The Mira 360m Four Spray Showerhead has four modes; rain, burst, cloud and storm. All are activated by turning the showerhead as you desire. I had no idea such 'functions' could be achieved so simply, I thought anything like a 'rain' or 'storm' function would require some fancy electronics behind the scenes. So maybe if there are no fancy buttons to press surely it's difficult to fit? Wrong, no tools, men or plumbers are required to fit the Mira Showerhead. Simply unscrew your existing one and replace with the Mira 360. Much like changing a lightbulb. As a renter there is little I can do to change my bathroom and fit the wet room of my dreams but this quick and easy change has made me feel a little closer to it. At £65 this is certainly a more affordable way to jazz up your shower. Are you a shower or bath fan and what to you make of this multi-functioning shower head? 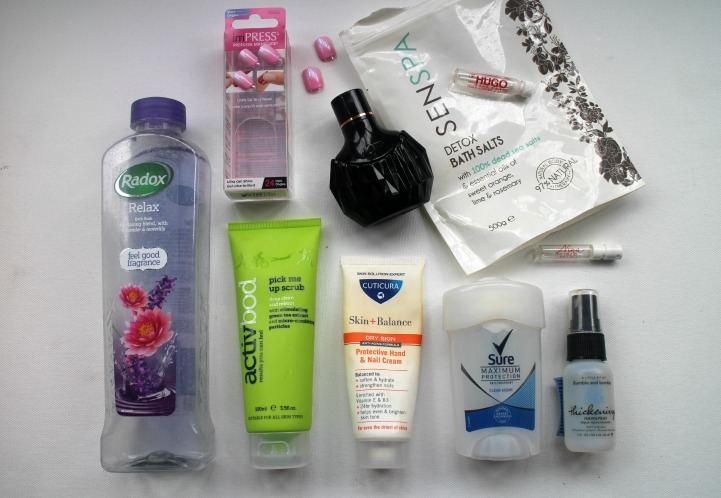 This month's empties are probably to be strictly fair somewhere from the early part of the month as I tried to get ahead of myself before heading to Dubai but nonetheless here is the latest stash of products that made their way into the empties pile. I go through Radox Bath Soaks like water and like to buy a different scent when repurchasing. The recent one I have been using is Lavender & Waterlily which is ideal for my Sunday evening bath. imPRESS nails are my saviours when I'm heading out and have left it too late to paint my nails. I recently wore these on my trip to Bob Bob Ricard where I knew I'd be posing with a champagne glass or two and couldn't have a chipped manicure on show. I wish I didn't use up the ActivBod Body Scrub so quickly and had left it to take on my hols. It's size and energising scent would've been perfect but alas I enjoyed it too much to put on hold. I would definitely repurchase for future holidays (only not on this occasion due to using other products) although it's size and speed I went through wouldn't make it necessarily ideal for sitting in the bathroom. One of the gym kits certainly. There's certainly a theme for this months empties being those I loved and went through at a rate of knots. I was sad to reach the end of this surprising fragrance favourite. Novelty fragrances have proved me wrong and this was a great smelling perfume for an afforable price. I will definitely be thinking about repurchasing this when we hit cooler weather. Compared to recent favourites from Roger & Gallet there is no competition from Cuticura. This is the sort of hand cream that I associated from years ago when they were nothing products and served a function rather than being 'luxurious'. As a functional product this was a good one but not something I'd rush to repurchase, it was just too boring for me. I picked these Bath Salts up during a trip through Waitrose with the anticipation that these would detox my soul. Sadly that wasn't strictly the case, nor realistic expectations on my part. As for the realities of the product I wasn't so much of a fan. The salts made my baths a gritty experience which wasn't pleasant and I didn't find there were any pleasures nor benefits from using. I used to wear Hugo Boss some years ago so it was nice to return to an old favourite. From The Fragrance Shop's recent Discovery Box (which I must post about soon) is once again proves what a great idea to return to old favourites that you might not always want to purchase full size. Nina Ricci is perfume brand I dabble with but whilst I like the scents I'm never quite sold on them. You really don't need another paragraph about how much I love this deodorant do you? As an aside it's currently on holiday with me in Dubai and managing to keep up the pace. Sorry to end on a downer but I blooming hate this stuff. It smells of Jaegarbombs and leaves my hair first wet then dry. Many times I've given it the benefit of the doubt, styled my hair. Sprayed on the hairspray and am left with a wet mop. Back to Elnett for me. So there you have my Empties for May, some good, some bad. Stay tuned for a mini 'bonus' holiday empties post. I was quite proud there had been minimum pre-holiday purchasing and then it seemed like the weekend before I had a very blogger/YouTube led purchasing spree as well as one or two regular essentials. Many of you may switch to a leg and bikini wax before holiday but after my recent waxing disasters you will know I'm sticking to shaving. As I would need to keep up the maintenance on holiday I turned to my Wilkinson Sword Quattro Bikini Razor knowing that it would perform in 'both areas'. You can read my original Wilkinson Sword Quattro Bikini Razor review here. OGX is a brand I knew little of but had seen often. Through the powers of YouTube seeing this shampoo brand spoke highly by the likes of Caroline Hirons it was very much on my radar. 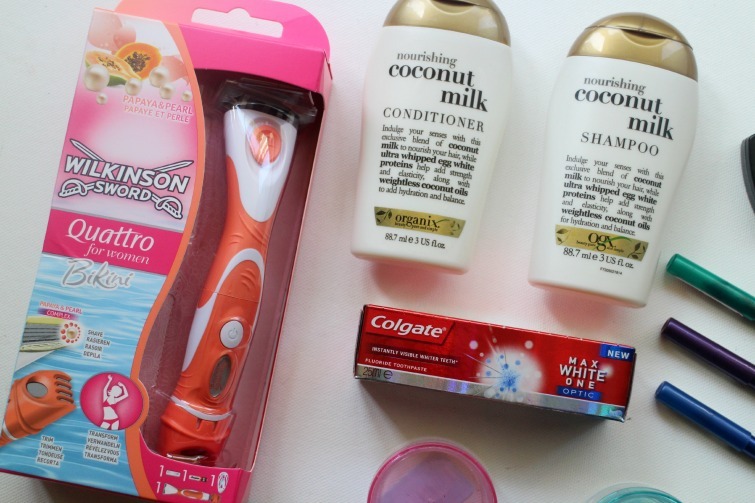 When I popped into Superdrug for my toothpaste (see below) and it was three for two I decided that despite not needing any more shampoo's and conditioners these would travel with me to Dubai. I have used during my trip and it's a thumbs up. So much so I will be buying more, in larger sizes on my return. Regular readers will know I'm not a 'toothpaste fan' and since discovering The Breath Co have been far happier with teeth brushing duties. I considered decanting but realised that was ridiculous and didn't really want to bring the full sized tube. Instead I picked up the small tube of Colgate thinking I'm sure I can manage for a 10 days with some intense mint tasting toothpaste. In the spirit of first world problems I can't stand it and cannot wait to return home to my favoured brand. I picked up three of the round tubes from Superdrug, again on offer but only ended up using one for my body scrub. As I reach my last day in Dubai I would have benefited more from using two of the tubs so I will make a note for my trip to Ibiza next month. More eyeshadows than necessary and in hindsight many shades to compare to Rose Quartz I still couldn't resist purchasing after watching one of Fleur De Force's videos. I had the full intention of taking advantage of the 'buy one get one half price' and sending one to Rose in America. Then I saw Viva Diva and decided to treat myself instead. Despite also being armed with my two Lorac Pro Palettes and a few Mac Eyeshadows which accompanied I have used both of these shades. Rose Quartz was a disappointment. Not as pigmented nor sparkly as I would like, especially when I have Mac Rose Pigment but Viva Diva. That was possibly my favourite make up look of my trip. 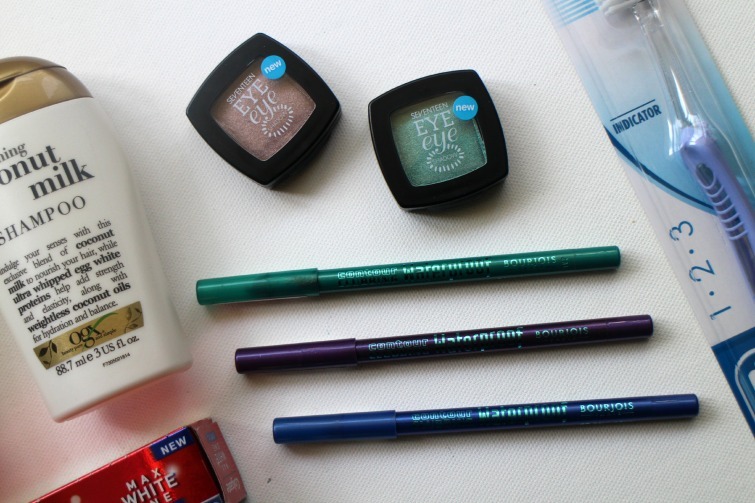 Hoping to get a little experimental on holiday and add some colour I decided to pick up three of the Contour Clubbing Eyeliners from Bourjois. I chose Purple Night, Loving Green and Blue Neon and have used all three since away. I think I still need a little practice to get the wear right but they certainly added a little something to my eye make up looks of an evening. Finally the most unexciting but the one thing I do every holiday is buy a new toothbrush. I don't take that one on holiday with me. That's the one I will leave at home, taking the old one and leaving it behind. That way I return home to a nice toothbrush that hasn't tackled the 'rigours' of travel . What have been your last minute holiday purchases? 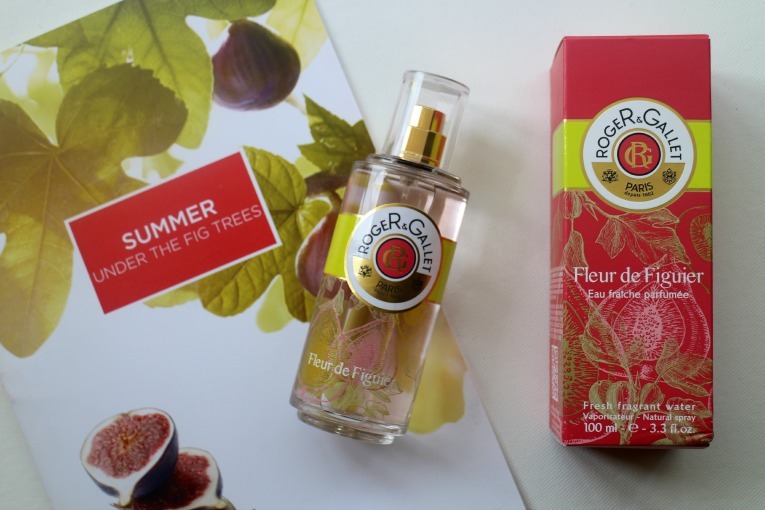 Roger & Gallet is a brand I'm coming to love particularly the Fleur de Figuier scent. I was first introduce via the Fleur de Figuier Hand Balm which I enjoyed so much it made an appearance in my April Favourites post. Now I have received the newly released Fleur de Figuier Eau Fraiche spray I can dowse myself in the scent all over, not just my hands. As I mentioned in my previous post I had never quite understood the 'fig obsession' but now I have joined the cult. Fruity yet mature, fresh yet sophisticated this is one of the scents I have brought along on holiday and perfect for a lighter scent when popping down for breakfast before a day by the pool. 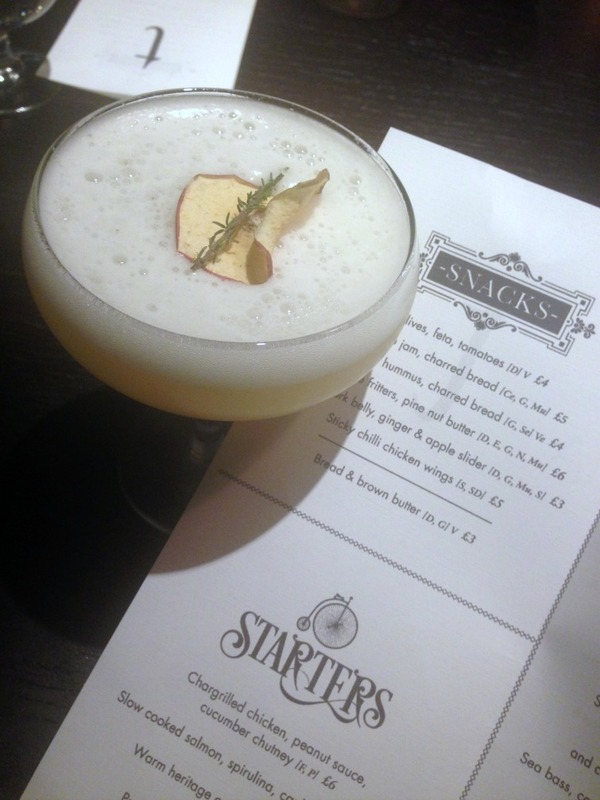 To celebrate the launch of the Eau de Parfum Roger & Gallet are spending the next 3 days in London 'distilling happiness' (#distillinghappiness). A gorgeous botanical bike will be circling High Street Kensington tube today through till Saturday (11am - 6pm) handing out floral bouquets and fragrance samples - I'm almost jealous I am in Dubai and will miss it. Luckily Roger & Gallet's Facebook and Twitter accounts are getting involved for those of us outside London and there's an opportunity to win fantastic prizes (can anyone say gift card?). Fingers crossed you pick up a prize! As you read this I am no doubt lounging round the pool in Dubai. 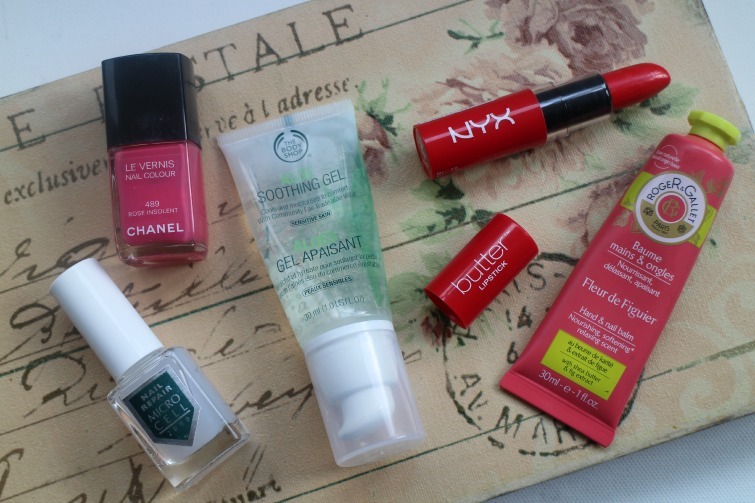 Today's post is a few beauty products that have made the trip with me both old faithfuls and new ones I'm wanting to try. Around this time of year new reports will start telling us which suncreams we should and shouldn't be relying on in the heat and during some googling Lacura, the range from ALDI was shown to pass all the necessary tests. With the strong Dubai sun to protect myself from and mum's love of ALDI I asked her to pick up a bottle for me to try. Most important for me was it being a spray lotion as that is my preference. I'll report back on how I found it when I return. My hair is in pretty good shape these days so I was already considering looking for some sun protection whilst away. When I was offered the opportunity to try Naturtint Nutrideep Mutiplier I jumped at the chance. A protective conditioner that you simply use in place of your usual conditioner it guards against external hair damage and provides natural UV protection. It also says it'll increase hair volume, strength and shine so I'll be reporting back on that. Whilst I'm having a bit of a scrunchie phase and have brought one or two along on holiday I cannot resist buying a pack of hairbands from Primark. £1.50 for such a large number and they've already came in handy when one of the girls exclaimed 'I've forgotten hairbands', Victoria to the rescue, I have one or two to share. Usually I'd go for the typical black but this time I went a little bit jazzy and chose the brights, far more keeping for a holiday don't you think. It was a no brainer when I saw this cute travel sized bottle of my favourite micellar water from Garnier for sale. Straight into my shopping basket it went. Prior to spotting this I was intending to decant my regular bottle into a smaller one but for just over a pound it was worth having the job done for me. I'll be also having a look whether I can refill this bottle once finished because if so that will be extremely handy. I also picked up the Micellar Wipes from Garnier to try as I'll be honest with myself, there will be some nights removing make up with wipes will be impressive enough. It was a no brainer that Sure Maximum Protection would be accompanying me on holiday. The only deodorant I can rely on and with warnings of heat in the 40s this is a must have. Regular readers will not be surprised that I will use the search terms 'flamingo' and 'pineapple' on websites to see what products I might find of interest and when I saw this set of three earrings on Forever 21 containing both loves and for only £3 I was rushing to a store to hunt them down. These earrings will be the perfect accompaniment to my bikinis, yes featuring pineapples and flamingo's on them! Airbrushing in a tube - that works for me. Manuka Doctor's ApiRefine CC Cream is a favourite of Caroline Flacks and may well become a favourite of mine. Of course I am using a higher SPF on my face by day but there's nothing wrong with adding this colour correcting formula on top. Brightening, smoothing and evening the appearance of wrinkles so I can look less weathered round the pool sounds good to me. Purified Bee Venom and Manuka Honey help to firm and lift the skin so you could say I'm doing a face workout whilst laying in the sun. 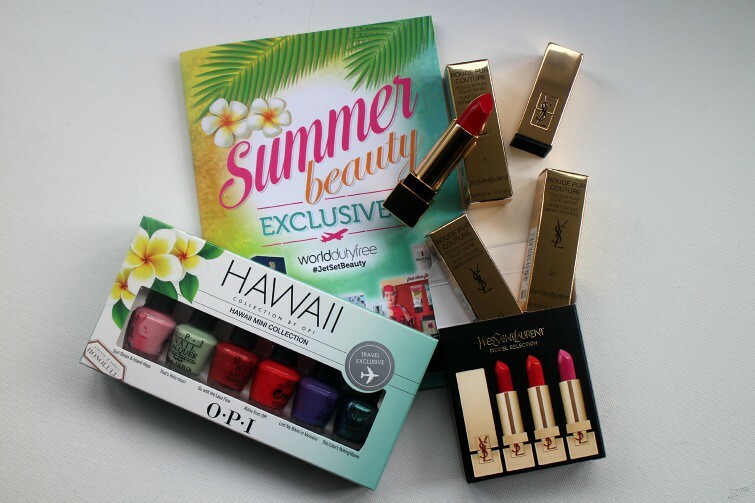 So there you have a few of my holiday essentials for my trip, what are yours? If you read this post you will know that I recently discover epilating and it rather changed my life where facial hair is concerned. As such I was keen to discover other variations of hair removal for the larger areas of my life. I have never waxed or epilated my body, always far too scared and happy enough with shaving. When I say happy enough, it's a means to an end - does anyone enjoy this chore, especially the dark haired amongst us. Firstly I started the Braun Silk-epil 7 Wet & Dry Cordless Epilator* - tentatively. I hated it, hid back in the box and pretended it didn't exist. A few weeks later I braved things again. How bad could it be? Unfortunately pretty bad which I only blame myself for and certainly not the product. I am officially a wuss. Who know that epilating my upper lip would be less painful than the leg, certainly not me. I only tried a small area of my leg but it was just far too painful and I found that, in part due to my hesitation, the area would be come red and sore. With the facial epilator I am pretty happy to go all in, moving the handle around quickly and efficiently but it was just too damn painful on my legs. And people who do their bikini lines with these things, you deserve a medal. If you have a high pain threshold I say go for it but it's a no from me. As I've already mentioned I've only every waxed eyebrows and lips, never the body and but I was happy to give Nair Argan Oil Body Wax* with it's 'bye bye pain' formula a try. In your box you'll receive a tub of was, orange sticks and some post waxing wipes. Nothing too dissimilar to I've seen used in salons in the past. Considering I was planning to tackle hot wax on my leg hair for the first time I was rather brave and excited to try this. Was this the wonder product I had hoped for? My first problem was that you're too heat the wax in the microwave. This took some trial and error to ensure that the product was 'melted' through and then you have to leave to cool slightly. Now this was where my problems came in. My microwave is obviously in my kitchen. Did I want to walk through my flat into the bathroom with a tub of hot wax? Not really so instead I decided my kitchen would be the place for the experiment so up my leg went on the oven and I spread some wax onto a small area. Still there was no fear, in fact I was even laughing to myself that if someone looked in my kitchen window they would wonder what this crazy girl was up to. Whilst noting never to eat anything that came out of her kitchen. 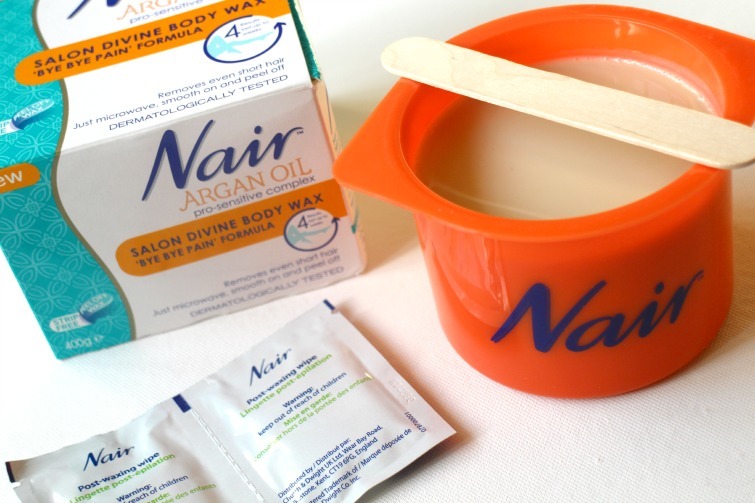 The wax dried quickly and unlike other wax kit in with the Nair Argan Oil Body Wax you use the wax itself to for want of a better expression, rip the hairs out. I found it really easy to gently rub an end of the wax to get a handle on it and then that's where I froze. Rather than rip it quickly I pretty much rolled it back. The good thing I can report is that it didn't hurt but unfortunately nor did it remove any hair. Again as you can tell we have another fail on our hands due to my lack of bravery. On the other hand compared to the epilator which was just pain personified the wax wasn't really painful at all, even if I wasn't following instructions correctly. If I were to live with a willing flatmate or other half then I would definitely pursue using this product but as it is, this girl is leaving the waxing to the professionals. So there you have it. My names Victoria and I'm a hair removal wuss. And you, are you braver than I am and can whip of wax stripes or get handy with an epilator without so much of a whimper? Let me know. As you know I've been on something of a spending ban setting myself the challenge of using what I have before buying additional items. As this haul represents there are some items that once they'd made their way into the empties pile and without alternatives I was able to make a few purchases. Following my trial of one of the smaller travel sizes of COLAB dry shampoo and being impressed I went straight out and brought the full size can. I have picked the Extreme Volume in Rio as I like to use this product to add some texture to my hair rather than using in it's traditional sense. Whilst I still have some Bumble & Bumble Hairspray still to use up I'm just not a fan so instead I returned back to the old faithful Elnett. I actually picked this up in preparation for a night out and intending to curl my hair. That didn't happen (blame the getting ready drinks) and instead I'll be throwing this can into my suitcase for my forthcoming holiday. I'd also like to say I wasn't swayed at all by the leopard print trim but I couldn't lie to you. After one two many lacklustre bad hair days I decided to blame the absence of any V05 Blow Dry Lotion. For a few pounds this is a great product to spritz in hair before blow drying and it gives enough oomph without weighing my hair down and making it greasy. I loved The Breath Co Fresh Breath Toothpaste when I first used it as it's not too 'minty' and was disappointed when it came to an end. Despite wanting to replace with a tube of your regular toothpaste in the cupboard I stayed true to my challenge. Thankfully that tube came to an end and I was able to replace with my preferred, if not slightly more expensive toothpaste. 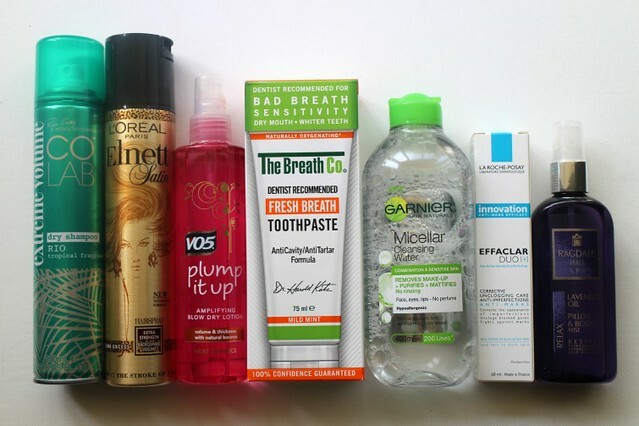 A quick search of my blog will bring up many posts featuring the Garnier Micellar Water. I much prefer removing my eye make up with a micellar water before going in for the 'proper' cleanse and find that Garnier is the best for me. 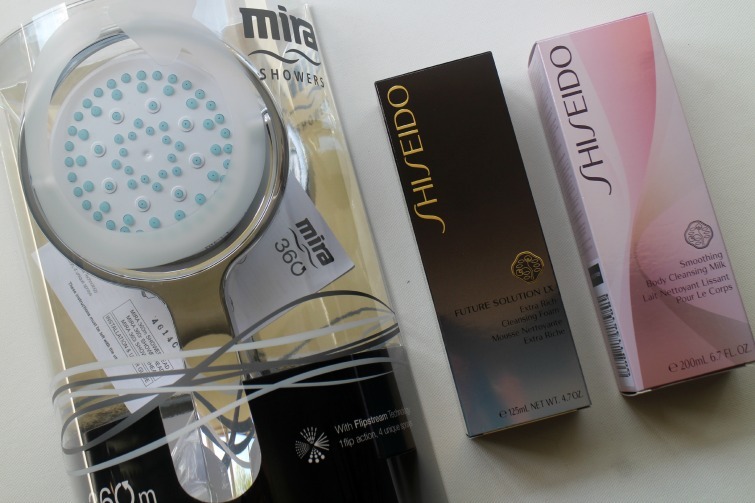 I decided to go for the sensitive skin when repurchasing to be a little kinder to my skin, especially on those days when I'm being lazy. My holy grail skincare item, the love it or hate Effaclar Duo from La Roche Posay. Even though my skin is behaving very well of late I still like to feature this product in my routine at various points throughout the month. When the tube I'm using starts coming to an end I instantly panic and make sure there is another ready to be used. Another holy grail item I love this cheap and affordable pillow mist. I'm currently debating whether to take on holiday with me as a quick spray on the pillow certainly puts me in a relaxed state and ready for bed. 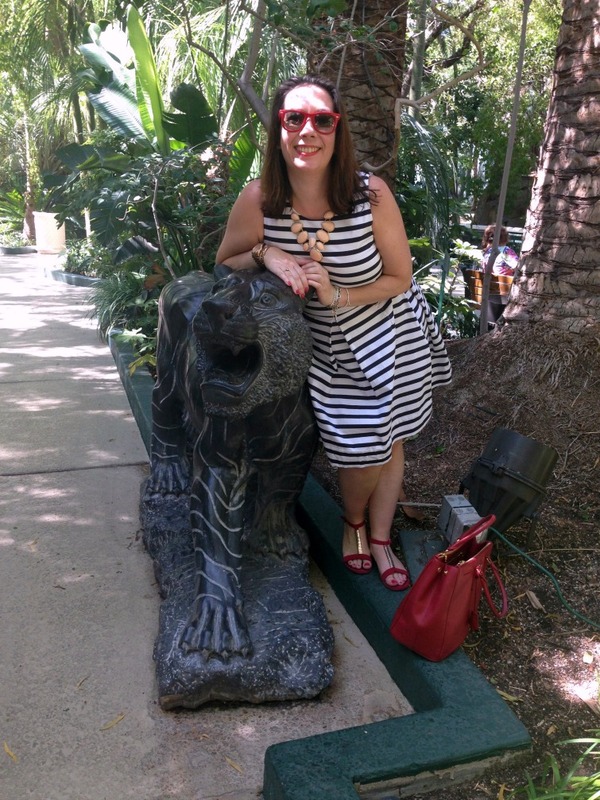 I saw this fun Wanderlust tag over at Mrs M's Meanderings and thought with my holiday to Dubai fast approaching it was timely. Where was your first plane trip to? Salou in Spain when I was about 11 I think. As this was our families first holiday abroad (with the extend family of grandparents, aunts and the like) my mum was extremely excited and went somewhat crazy with the packing. Dad was none to pleased when our cases left the plane both emblazoned with 'HEAVY LOAD' stickers across them. You're leaving tomorrow and money is no object, where are you going? This is a tricky one. Do I say Houston so I can go and visit my friend Rose who moved out there a month ago? Vegas because I'm starting to get a yearning to return already, and surely if money is no object that means I can fly first class and book a suite at Caesars Palace? I'm off to Dubai in a couple of days which was top of my list and I honestly can't think of anywhere else on my list at the moment. I quite fancy a safari actually so maybe that's where I'd head? Whilst I want/would like to always explore new places I do have a tendancy to return to somewhere I've been. This is as much due to circumstances as a single girl without a plus one to make plans with often my holidays are born out of jumping on or following others plans. That said I do love returning to somewhere I've been before and knowing the lay of the land, where to go, what you missed last time. I could happily return to Vegas every year. Call me a snob but it'll have to be a hotel. When Ben & I travelled to LA last year en route home from Hawaii we'd booked a 'budget' hotel on the basis we'd gone luxury in Hawaii and were only spending a few nights in LA. Once I saw our hotel and room I had my laptop out and had booked a far better hotel for the remainder of our trip and lasted one night in the budget accomodation. Saying that after a disastrous hotel stay in Brighton Ben and I both commented that the hostels looked better than our hotel. Where would you travel just to eat the food? I don't know if I'm enough of a 'foodie' to name somewhere that the cuisine is enough of a draw for me to visit. Plane essentials and how do you pass the time? 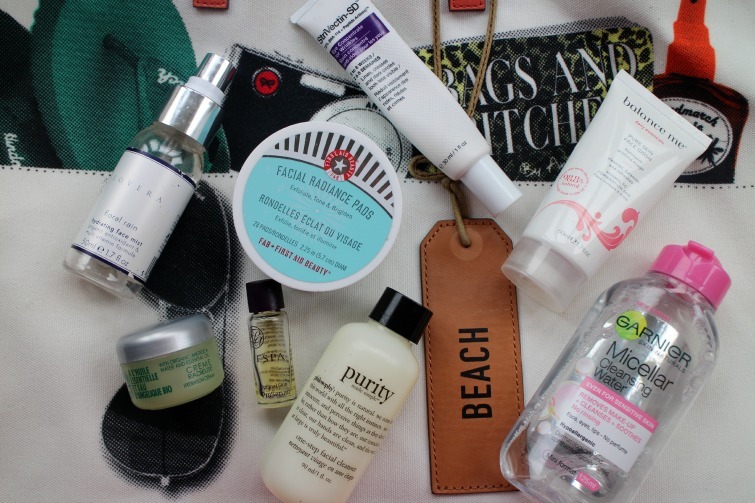 I tend to fly long haul and since entering the 'beauty blogging arena' my skincare regime or mid-flight pamper has become something that is both essential and enjoyable. I remember arriving in Vegas a couple of years ago and my skin looked better than when I left so I always have my lotions and potions to reapply through the flight. A few magazines are always necessary. Whilst I take a book I often don't have the concentration for them and prefer magazines to flick through. Then of course the movies. Before any flight I'll have been on the airlines website and read through what movies I can expect and plan what I can watch. Finally socks and a sweatshirt. I'm always cold on flights. Passport. If you heard about my trauma last year when I lost my passport days before my flight it's obviously an essential. My cabin suitcase. I find it so much easier to wheel a case and fill it with magazines and/or duty free purchases rather than an overloaded hand bag. And as mentioned above, my beauty products, especially hand cream. You can read what I put in my hand luggage last year here. Preferred method of travel; planes, trains or auto mobiles? Planes of course - that means I'm going somewhere far away! 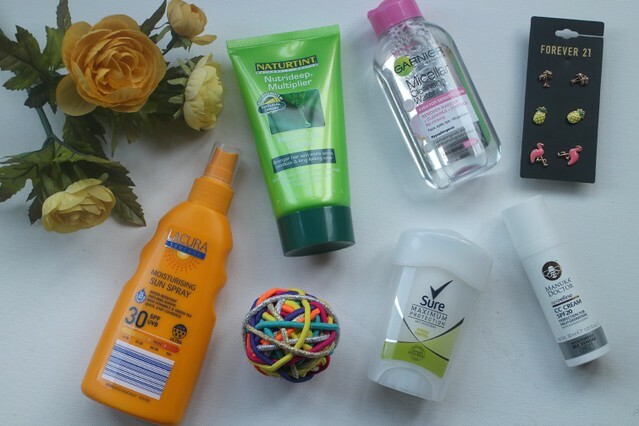 This months favourites are a mix of things that certainly show I'm getting into the Spring spirit as well as one or two more hardy products that have helped me out of a spot or two. Let's dive straight in. MicroCell is a new to me brand that has recently hit the UK after making waves in Germany where it is one of their top sellers. As typical with products of this type a diligent daily application is required for things to take effect so laziness had prevented me from entering into a test period to put together a full review for the blog. I remember asking the rep at the time whether you could apply MicroCell and put a colour on top and she said yes, but you would need to remove every night and reapply as directed. Hmmmm well that wasn't going to happen. My dad went to the US a year or so ago and whilst he wouldn't be visiting a Sephora anytime soon I couldn't miss the opportunity to pick me up one or two items. Instead I decided to give him a Chanel shopping list which he would be able to hand over at the Duty Free counter. On that list was Rose Insolent and this is possibly one of my most favourite Chanel nail colours. If you read my post about how disappointing Chanel nail colours are for wear and tear thankfully due to my trusty eyeCandy top coat I have breathed new life into them. Rose Insolent is the perfect transisitional pink for Spring. Not too pastel, not too neon just right. It makes a change from my standard reds and its been a colour I reached for more frequently throughout May. When I originally posted about the Aloe skincare range from The Body Shop the soothing gel was the product I'd had the opportunity to use least. Some months on it's become the product I reach for most and wonder how I lived without. Overzealous with my epilator, reach for the soothing gel. Redness from threading, reach for the soothing gel. It's defintely an essential but never more so than a couple of weeks ago when I was roasting a chicken and managed to pour chicken fat onto my arm. Despite wearing a sweatshirt, which was removed swifly far still managed to make it's way through to my arm. After water was thrown over me I reached straight away for the soothing gel and continued to apply over the days that followed. This product was a lifesaver. Yes there is a mark from the burn but applying the soothing gel meant I didn't experience any blistering to the burn and weeks later the mark is fading nicely and I hope scarring will be kept to a minimum. This is a product everyone should have at home. I wear a lot of red lipsticks to work so when someone comments on one I'm wearing I know it must be good. Coral Red from the NYX Butter line is the perfect shade for Spring. I still like and wear my true reds when the occasion is right but this is one that I can wear by day, feel like myself but also like I'm embracing the new season. 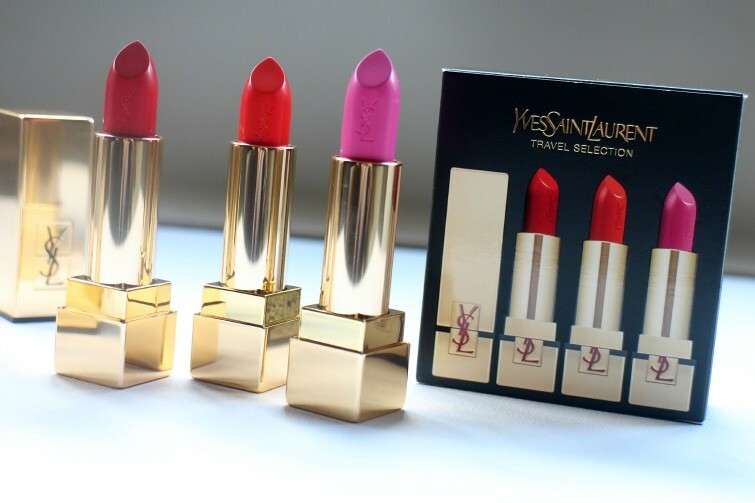 As for the lipstick itself, pigmentation and wear are spot on and it's become a regular in my make up rotation. I posted about the Roger & Gallet Hand Creams last week but Fleur de Figuer is the stand out favourite. The scent is delicious and the hand cream itself a good one. I only wish there were a larger size as I can see myself going through these small (but practical) tubes very quickly. 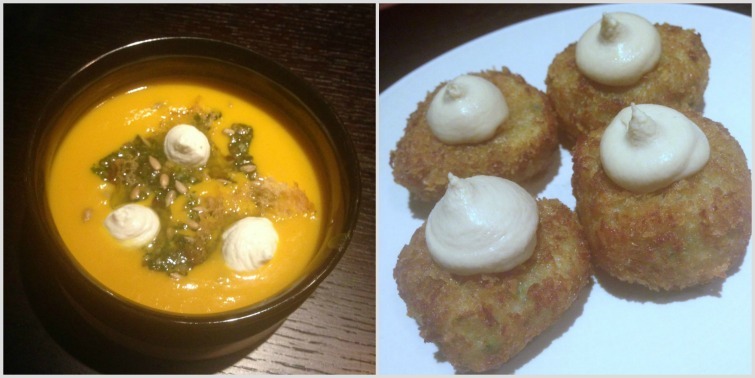 This is a very overdue post from December but as I'm recommending Tredwell's to anyone that will listen I thought it was high time I gave it a mention on Florence and Mary. 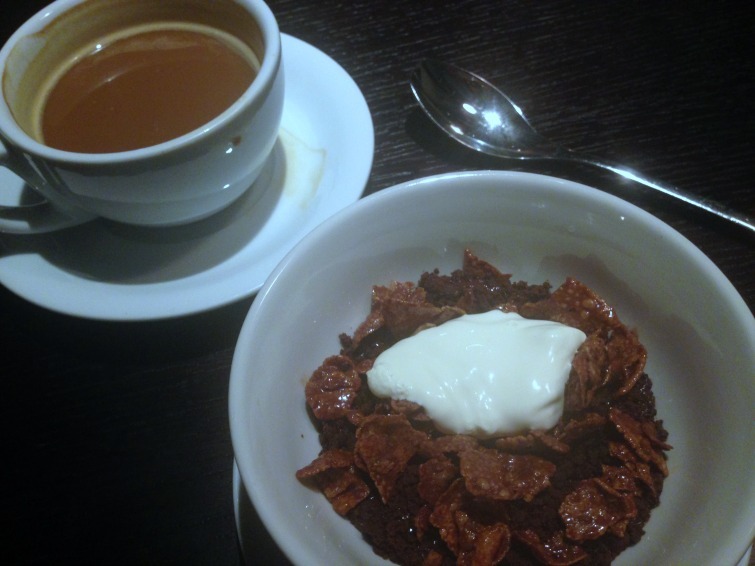 Marcus Wareing's informal dining spot in the West End was recommended to me by the lovely Angie Silverspoon when I was looking for recommendations for dinner before the theatre. My friend and work colleague Caroline and I were being treated to dinner by our boss for Christmas and this seemed the perfect choice. Whenever we're dining out together I have to be sure that we cater for Caroline as a vegetarian with as much choice as I would have - and often more as she'll eat fish whereas I will not. I also mentioned that we were going to the theatre so it's worth me telling you that we say The Lion King - and we sorely disappointed. Maybe childishly I expected a variation of Disney's cartoon which of course it was not but not even the songs lived up to their happy reputation, there was just no punch. Visually it was amazing with how they created the animals on stage but otherwise I found myself bored. 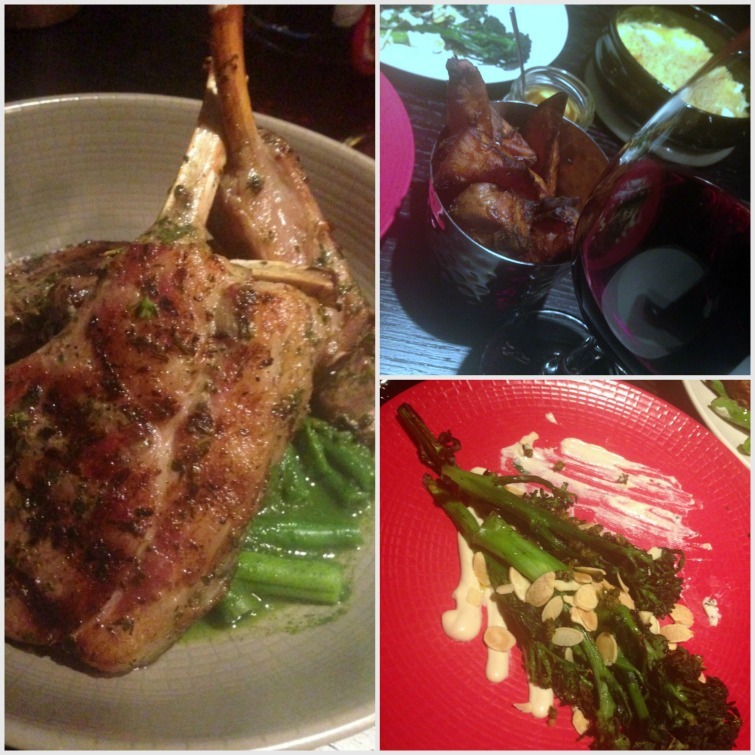 On the other Tredwells is a must if you want somewhere informal but a step up from your usual chain venue. It's worth the extra expense. I'd love to know if you saw the show what you thought, or indeed if you've been to Tredwells. There was a lot of hype around the release of Chanel Les Beiges Healthy Glow Sheer Powder and I tentatively jumped on the bandwagon, panicked and jumped right back off it. I kicked myself when I'd finally decided to make the leap and it had sold out everywhere. Finally in September 2013 I managed to get my hands on Shade No 30 and instantly fell in love. First we have the gorgeous compact. Somewhat larger than those I've had before and of course the main difference being it's cream and black packaging rather than the traditional black and white we're used to seeing. At the time of purchasing I wasn't really much of a powder nor heavy foundation wearer which was part of why I dithered so much. Would it be too light to wear alone? And do I need a setting powder as pricey as this? The answer to both is yes. As a base powder I certainly find it too light but it does give the skin something of a glow for those no make up days. On days when I'm not interested in layering on make up yet want to look a little healthy as the name would suggest I can reach for this compact but it's a setting powder where it really comes into it's own. Whatever foundation I am wearing this is the powder I solely use to set things in place and add a little something extra to my look. So finely milled is this powder that it doesn't leave the skin caked in powder. Off out after work and my make up needs to be refreshed, Chanel Les Beiges to the rescue. I can leave my make up bag behind without any concern, small clutch bag with limited space ok then but it will be filled with a lipstick and this compact. It's the product I can no longer be without. As well as it's holy grail status for it's functionality I could also name this post 'the product that never ends'. Many may bulk at paying £39 for a powder but I should let you know that despite it's daily use I did not hit pan on this powder until July 2014. In Spetember that same year, with the powder still going strong but 'pan growing larger' I decided to pick up a new one in Duty Free thinking I would save myself a few pennies on this must have product. Well it's May 2015 and the powder is still going! So much so that I've now passed onto my mum to try after she treated herself to Chanel Les Beiges Healthy Glow Fluid (which I too am a fan of and you can read about here). I'm rather tempted now to treat myself to a darker shade and try it as a bronzer as I'm such a fan of this product and know how long it'll last. 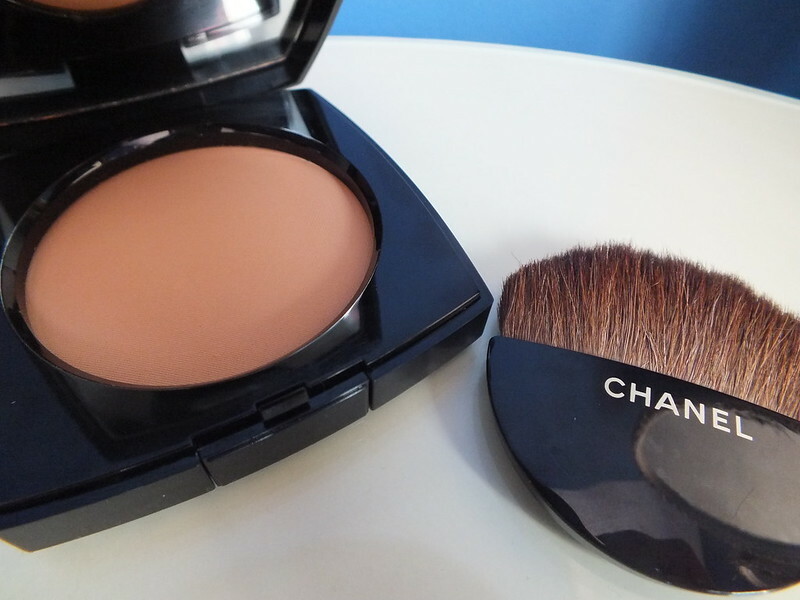 And you know the brushes inside compacts that are often cast aside, well Chanel even got theirs right. I tend to use the enclosed brush more often than any other and it's the perfect shape for setting concealer under the eyes. So it's pretty much a big thumbs up for Chanel Les Beiges Healthy Glow Powder - even if the name is unnecessarily long. 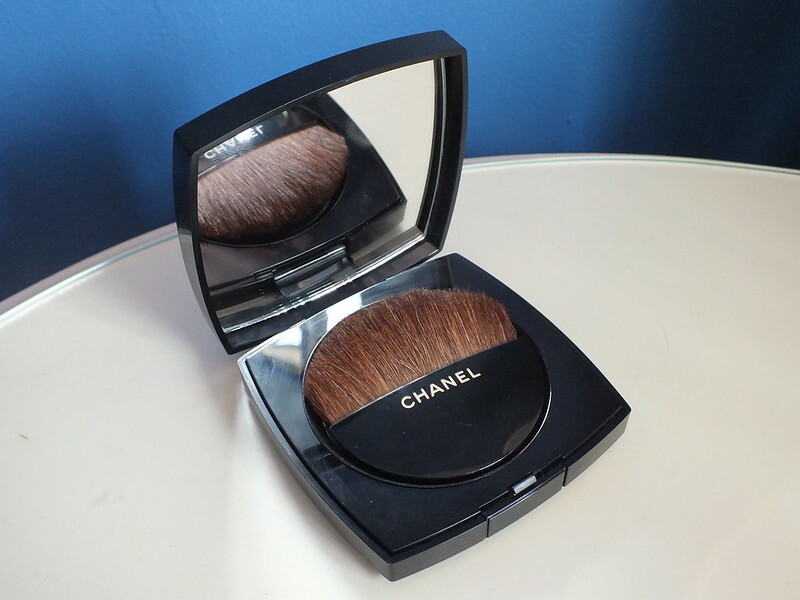 Have you tried this 'wonder powder' from Chanel or would you like to?